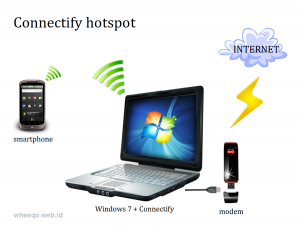 I guess you must have heard of this software called connectify?Hmm, all it does is to help you turn your pc to hotspot, Imagine!!! . you might be wondering ,ooh how can I connect my iphone, PsP, iPad, and my other laptop and device to internet. You don’t have to worry, because your problems just got jailed. (wow), how is this possible? Just download connectify from HERE. The images below will guild you through on how to install….. As you can see below its not that hard. Connect and share with your friends any where any place.